Although the U.S. recognized gay marriage as a right for all people in June, 2015,* Russia is going the other direction. In June, 2013, President Vladimer Putin signed into law new prohibitions against gay pride rallies or marches. Also included in the restrictions are hefty fines for anyone who gives information to children about homosexuality. A few days later, Putin signed into law a prohibition against any Russian children being placed for international adoption by gay singles or couples. This also includes countries or states in the United States that have legalized gay marriages. In December, 2013, India’s Supreme Court struck down a 2009 lower court decision to decriminalize homosexual conduct. There are approximately 70 countries with such restrictions on LGBT individuals. 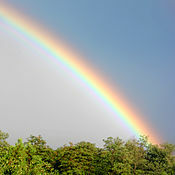 On the other side of the rainbow are two decisions from the U.S. Supreme Court in June, 2013 opening the door even wider to full recognition of gay rights. In the first case, the Court ruled** that the federal Defense of Marriage Act (DOMA) violated the Fifth Amendment and was, therefore, unconstitutional. This means that the many federal benefits available to heterosexual couples are now to be provided gay and lesbian couples who are legally married. The second decision by the Court was a technical ruling that, in essence, restored gay marriage to the State of California. The justices voted 5 to 4 that the plaintiffs in the Proposition 8 case didn’t have standing to file their lawsuit in the first place. This left the lower court decision in place that results in a restoration of gay marriage to California residents. Proposition 8 was a voter-approved ballot proposition in 2008 that marriage is only between a man and a woman. The proposition is now history. *On June 26, 2015 marriage equality in America became a reality. The Supreme Court ruled 5 to 4 in Obergefell v. Hodges that gay marriage is legal nationwide, not just in those states that had already legalized such. **United States v. Windsor, June 26, 2013. **Hollingsworth v. Perry, June 26, 2013.